Deep down, we know we're all garbage people. Let's try to be better together. 135: Gender Non Conforming And Non Binary People, Lucky Lee’s, Lori Loughlin, and More! Colin Anderson and Candice Chetta are leaning into their own queerness and talking about what it means to be gender non conforming and also what it means to be non binary. It’s important to listen to people when they tell you how you want to be addressed – it’s basic human decency, and it’s really easy. So just BE BETTER. Criminy River is particularly murky this week, with college cheating scandal updates and a white woman stealing culture for her own gain, again. The Strug Boat is full of reality tv news, Coachella, and more! You don’t want to miss out. We couldn’t keep our motors boating if it wasn’t for the support of our incredible Patrons! 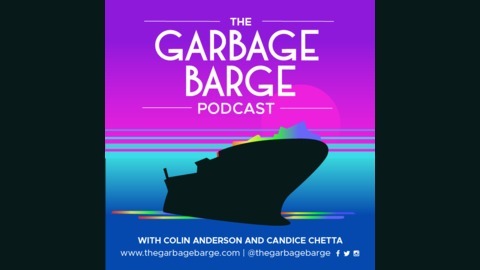 If you like what you hear, please consider becoming a supporter of The Garbage Barge and help us keep doing what we do! You can find all the information you need right here at Patreon.com/thegarbagebarge! Intro, Outro and Criminy River music composed by Aaron Cotler. Mixed and produced by Candice Chetta. 134: Identity Politics, Meghan McCain, Real Housewives Drama, And Fast Food Stuff! 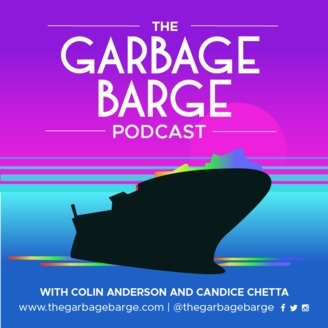 132: Terrorist Attack In Christchurch, College Admissions Scandal, Bravo News and More! 131: Emotional Labor and Mental Health in the Service Industry with Special Guest Kat Bushnell! Bravo News & More! 130: Jussie Smollett Updates, Diane Feinstein, R. Kelly, The Oscars and More!